Microsoft recognizes key individuals who contribute significantly to the community of technologists through the Microsoft Most Valuable Professional (MVP) award. These individuals are active authors, speakers, bloggers, and innovators. They are also skilled network engineers, developers, trainers, designers, and architects. In the SharePoint community, these MVPs are recognized for their expertise in either Windows SharePoint Services (WSS) or Microsoft Office SharePoint Server (MOSS). This book represents the efforts of 16 MVPs in the SharePoint community to present core areas of SharePoint 2007 products and technologies seasoned with significant field experience. The idea behind the book is to lower the learning curve for the reader, while providing the insight necessary to avoid common missteps. This book is an extension of the work the authors have done in their own blogs, books, and presentations. This book is for the community of SharePoint professionals. That means that architects, designers, developers, administrators, and engineers all will find something useful in its pages. As a reader, you will want to focus on chapters that appeal to your areas of expertise directly. Some of the chapters, for example, assume a strong programming background, whereas others are centered on administration or maintenance. All readers should have some prior experience with SharePoint 2007 products and technologies to get the most out of this book, although the book does include an introductory chapter for those who are just getting started. The authors generally assume a working knowledge of SharePoint in an effort to focus the discussion on implementation and best practices. This book covers SharePoint 2007 products and technologies. Specifically, you will find topics relating to both WSS and MOSS. The topics were selected by SharePoint MVP and Editor Scot Hiller based on the authors’ capabilities to represent a cross-section of the most important areas within SharePoint. Although the chapters have been arranged in a logical order, they are intended to stand alone as independent articles. Configuring Forms Based Authentication by Stacy Draper: different approaches to FBA, along with their strengths and weaknesses including some custom solutions to problems such as user and role management. Understanding SharePoint Administration by Todd Klindt: the basics (such as backup and recovery), more advanced topics (such as command-line utilities and tips), and techniques for managing site templates. Developing Publishing Sites the Smart and Structured Way by Andrew Connell: an alternative technique for developing Publishing sites within MOSS discusses development with the SharePoint Designer (SPD), but then challenges the conventional thinking with a new structured approach. Readers will learn new ways to ease the management and maintenance of Publishing sites. Using SharePoint Designer 2007 by Dustin Miller: This often-maligned tool can be a powerful part of your SharePoint toolkit. Customizing and Branding the SharePoint 2007 Interface by Shane Perran and Heather Solomon: One of the first tasks in any SharePoint project is branding the use interface. The reader will learn all of the different ways to customize the look and feel of SharePoint using master pages, style sheets, and graphics. Understanding Web Parts by Jan Tielens: walks the reader through the creation and deployment of Web Parts. Readers should have a strong C# programming background. Creating Workflows in WSS by Robert Bogue: Readers will learn how to create custom workflows and forms for deployment in WSS including many tips and tricks from actual field experience. Readers should have a strong C# programming background. Creating Workflow in SharePoint Server 2007 by Joris Poelmans: The big difference between WSS and MOSS workflows is the ability to use InfoPath forms. This has extensive coverage of InfoPath forms and how to use them with MOSS workflows. Using the Business Data Catalog by Nick Swan: The Business Data Catalog (BDC) is used to allow MOSS to access line-of-business databases. Includes tips to make the development process easier. 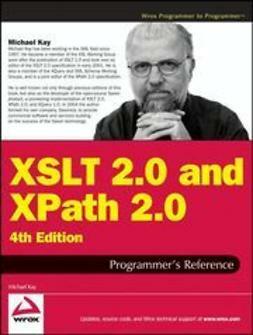 Readers should be familiar with XML. Using Excel Services by Luis Du Solier Grinda: Excel Services is used to allow MOSS to present spreadsheet data to end users through a browser. This technology is a foundational element in the development of dashboards in the SharePoint Report Center. Securing SharePoint Communication by Adam Buenz: Readers will learn to implement Secure Sockets Layer (SSL), Kerberos security, and how to use the Microsoft Internet Security and Acceleration (ISA) Server. Using Information Rights Management by Jason Medero: setting up IRM and using it with SharePoint libraries to restrict document functionality (such as printing and attaching) so sensitive information does not leave an organization. Upgrading from SPS 2003 to MOSS 2007 Using the Gradual Method by Shane Young: One of the biggest trends in the SharePoint community is upgrading from SharePoint Portal Server 2003 (SPS 2003) to MOSS. This examines all of the different upgrade approaches, and then walks the reader through the gradual method for upgrading. Contains a wealth of field experience learned from performing many upgrades.